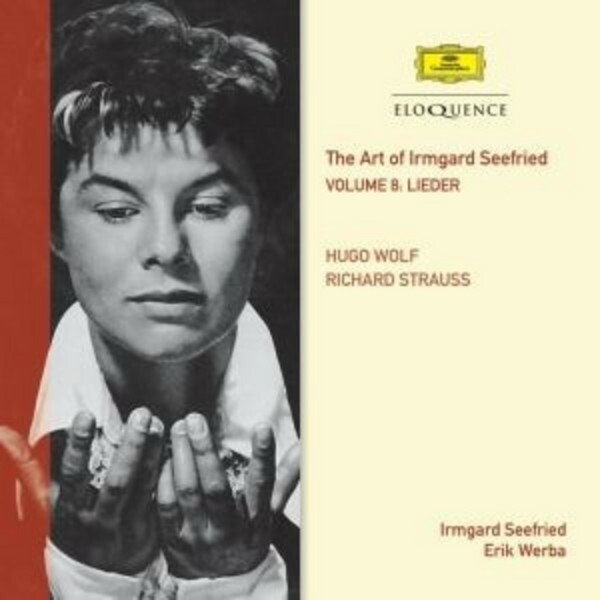 Seefried's radiance and imaginative strength made her a cherishable Lieder singer over an enterprisingly wide repertoire. The songs of Hugo Wolf, less frequently programmed in the 1940s and 50s than today, were something of a Seefried speciality. In her 1953 recording with Erik Werba of 22 songs from the Italienisches Liederbuch (made five years before her complete set with Fischer-Dieskau), her tone is at its freshest, and she brings her trademark vividness and immediacy of response to each of these pungent vignettes of Italian village life. From 1958 we are then treated to a further group of songs by Wolf, including several Goethe settings. The disc is completed with a group of ten favourite songs by Richard Strauss. There is much to savour in these performances: urgent, direct, outgoing, devoid of any whiff of sentimentality, and given her reputation as one of the great operatic Straussians of the 1940s and 50s, these performances will be sought after.